WordFusion is a Forms and Document Automation solution. It allows you to design Forms to collect, store and reuse information. In addition, it can produce complex documents from the information collected using its fully featured rule based Document Automation engine. It achieves this by providing a powerful designer to produce highly customized and user friendly Forms for any use. It also integrates with Microsoft Access, Excel, SQL Server and most other data sources to make use of your existing data. 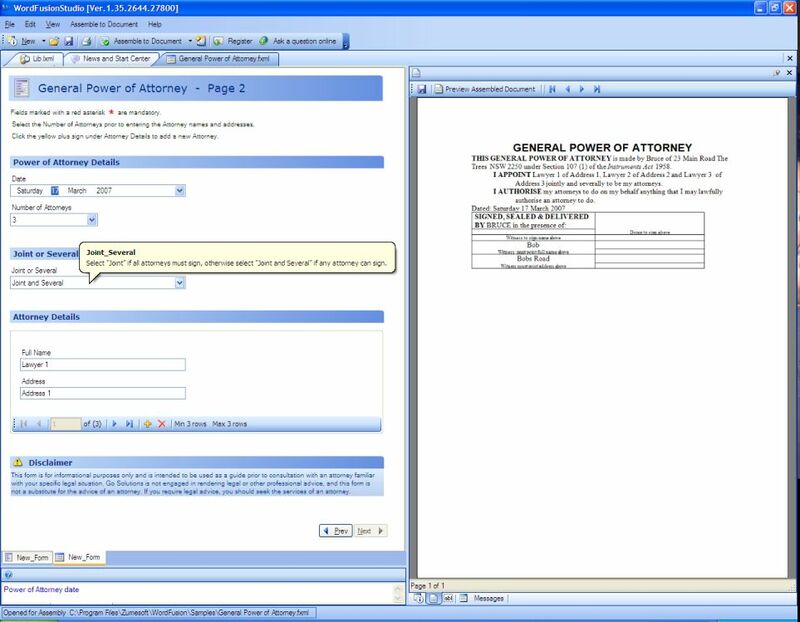 It comes in a free edition that allows users to Fill and save information using Forms. This means that an organization can create Forms using WordFusion Design Studio and share them with as many users as required without purchasing client licenses.